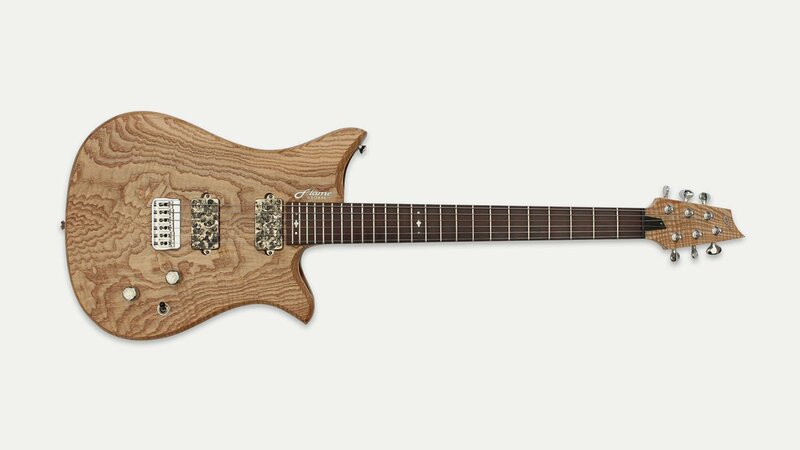 Flame custom electric guitars are hand-built by David Kennett who has been building guitars, both acoustic and electric, for more than 20 years; recently he has concentrated on making electric guitars. He offers a full custom-build service based around his own guitar designs, using exotic hardwoods for body facings, such as; bubinga, paduak, macassar ebony, bocote and walnut. Once lacquered these tonewoods look quite stunning. His mission is to produce guitars that look stunning, are impeccably finished, sound great, have their own distinctive voice, are set up really well and bring great pleasure to the owner of the guitar. But ultimately it is about the playing experience and that indefinable sense of just being comfortable playing a certain guitar.